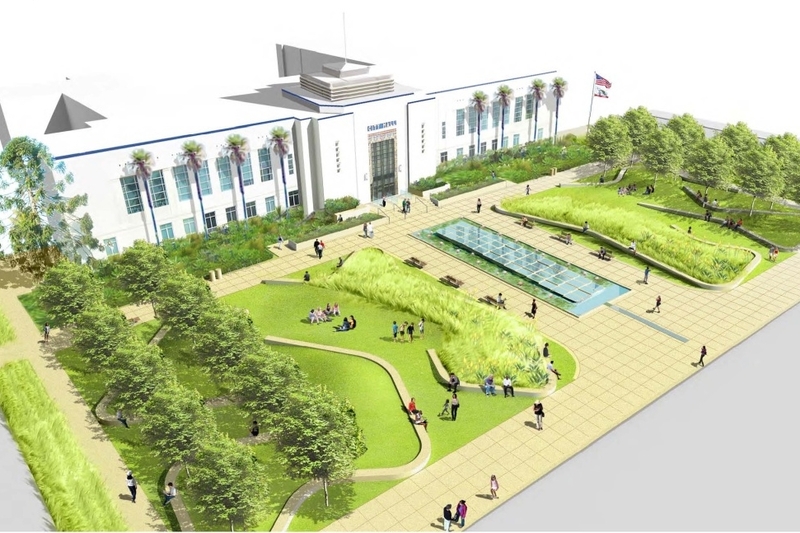 Santa Monica City Council awarded the contract for design for two new parks in Santa Monica's Civic Center to James Corner Field Operations and their team of experts in April 2010. 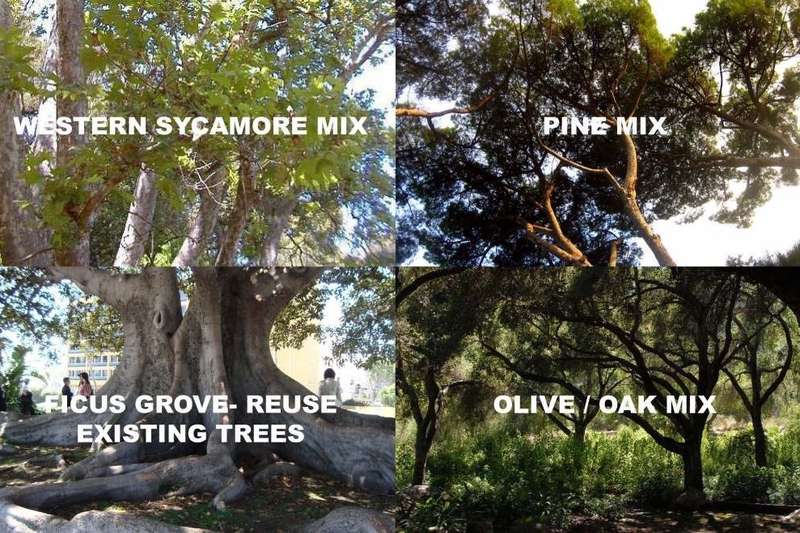 The community participation process that kicked off in May 2010 included 5 public workshops and presentations to neighborhood groups, City boards and commissions. 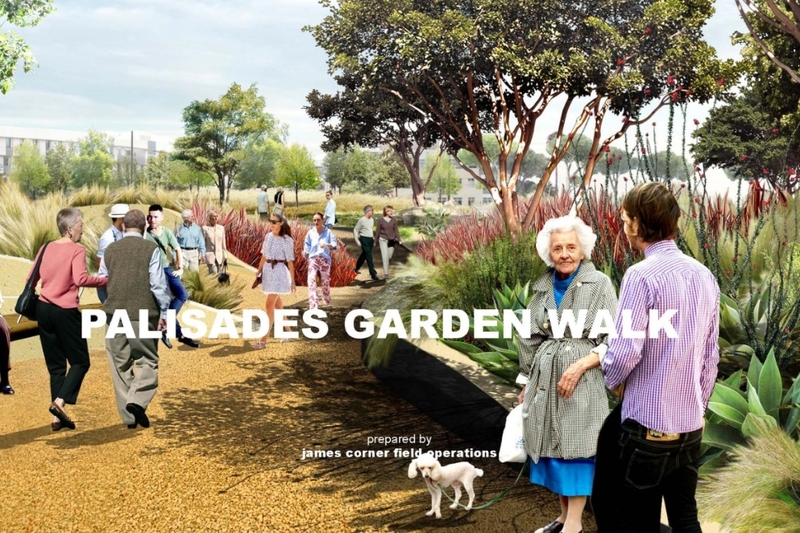 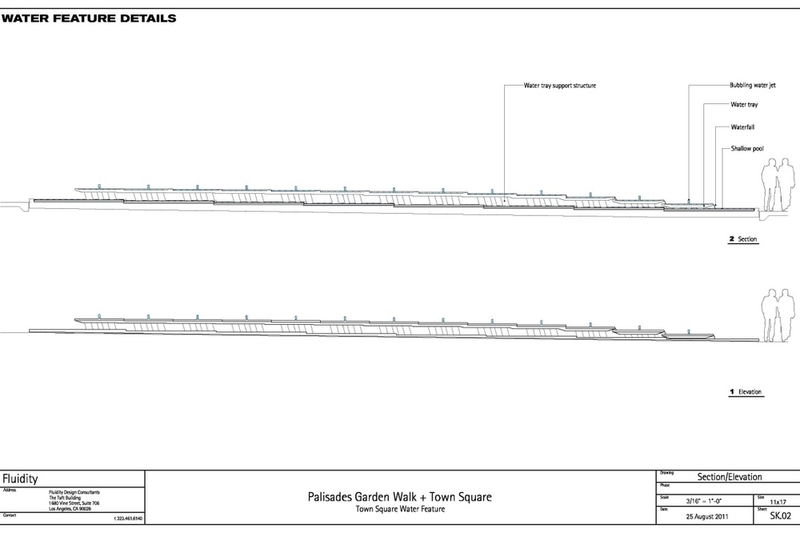 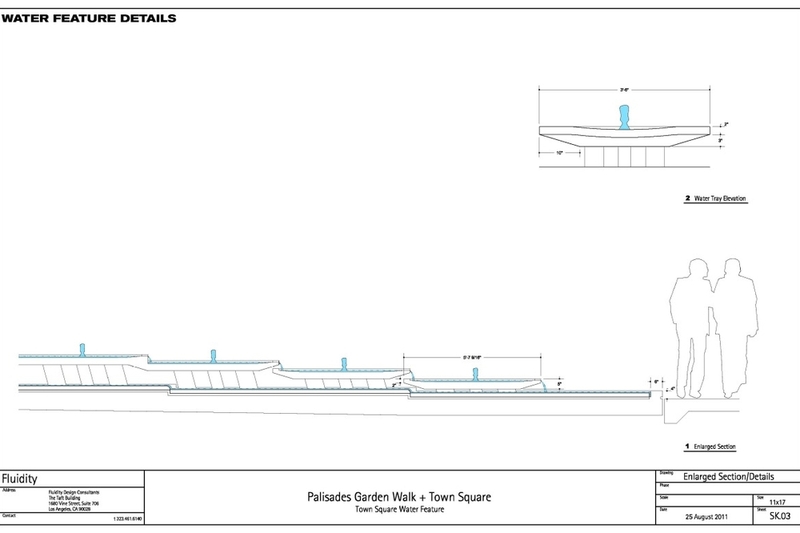 The final design for both parks and associated streetscapes was approved by Santa Monica City Council on October 25, 2011. 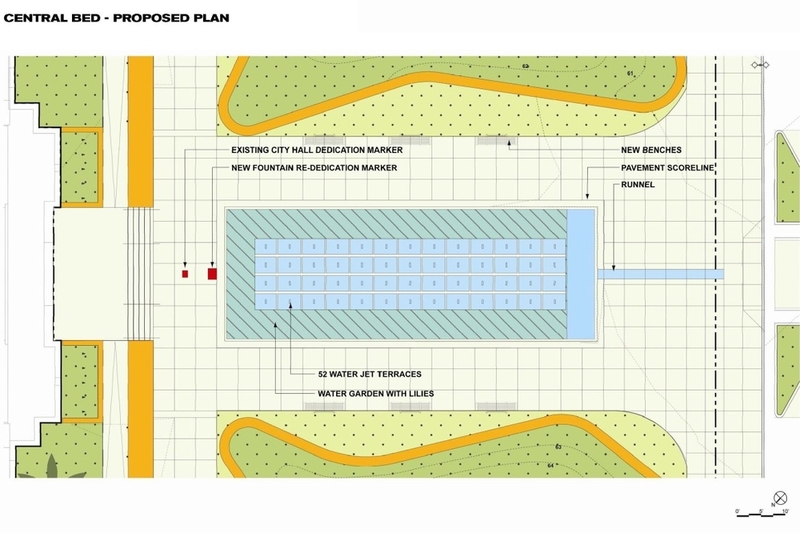 The following is a breakdown of key aspects of the project design. 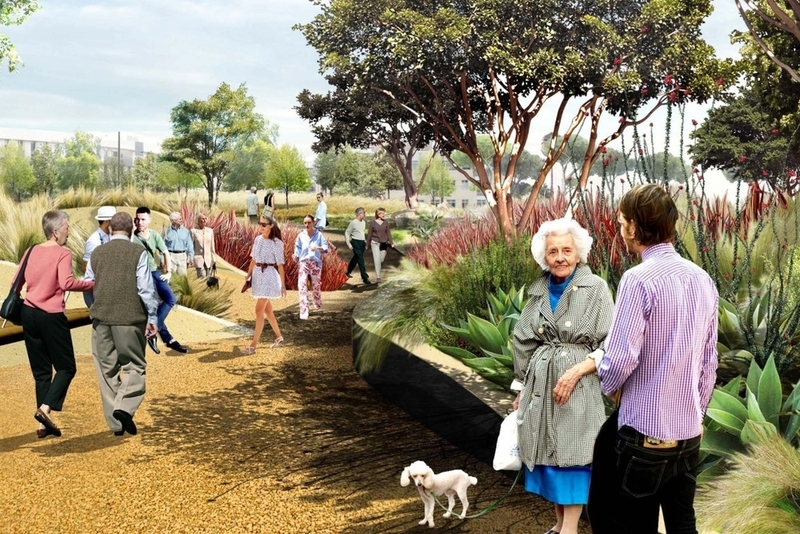 This six-acre park is now officially known as Tongva Park. 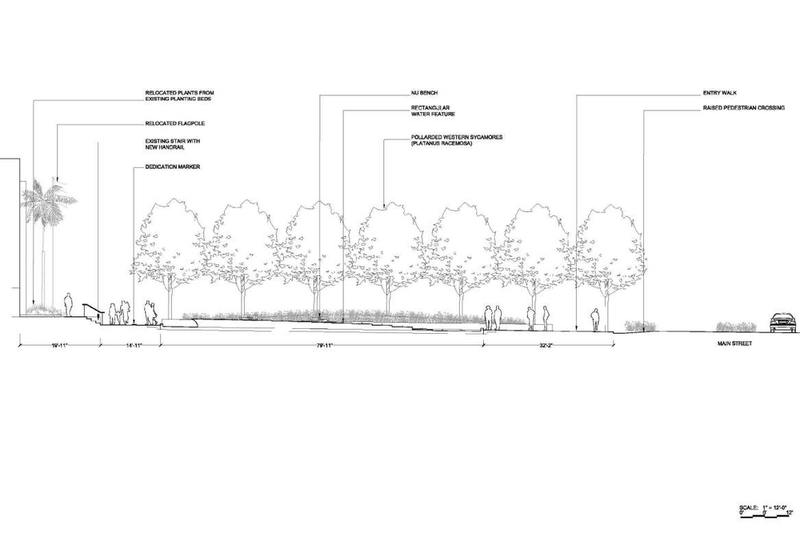 The design employs creative use of space to gracefully accommodate a wide range of uses and goals on a relatively small parcel of land. 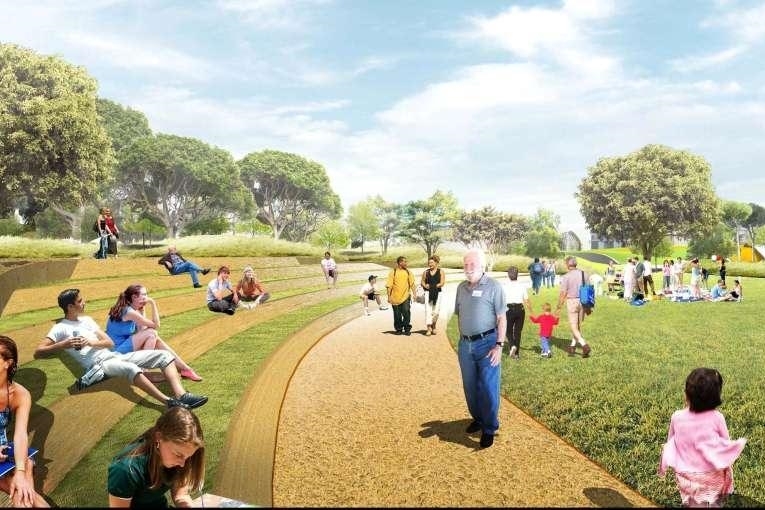 The one-acre area in front of City Hall is now known as Ken Genser Square, in honor of our former mayor, long-time civic leader, and dedicated community member. 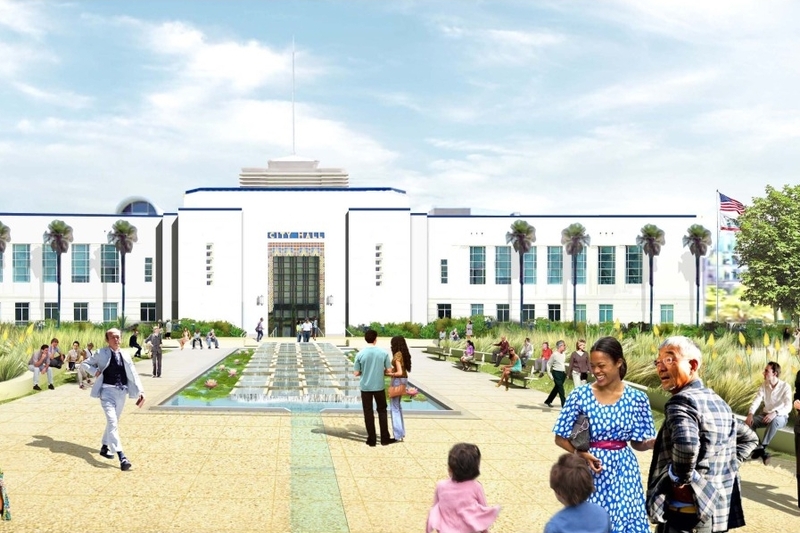 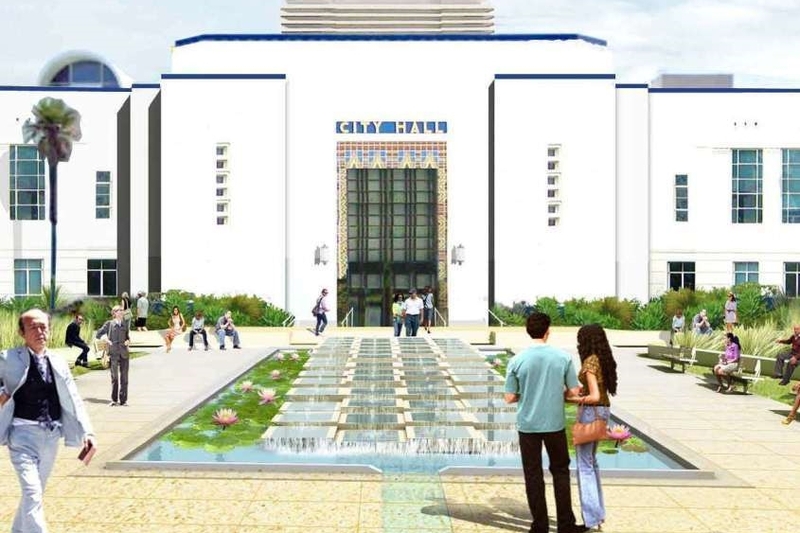 This redesign included restoring the exterior of City Hall, a Santa Monica landmark, closer to its original state. 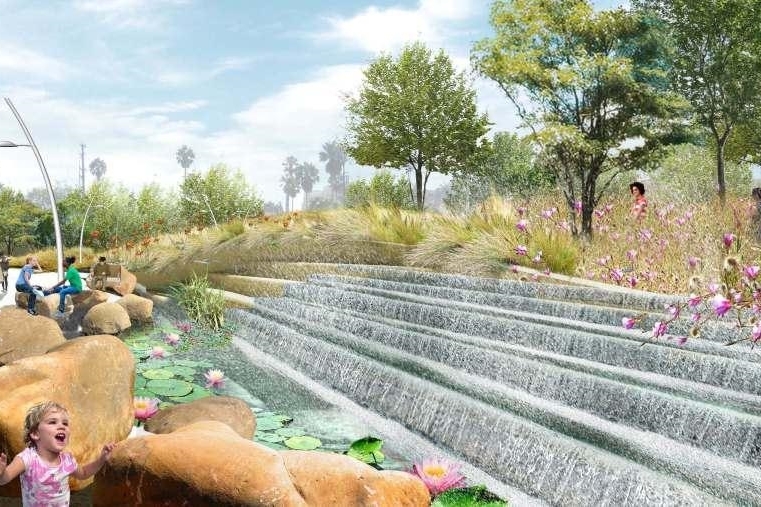 Water is essential to the arroyo wash design concept, symbolically and physically tying together the two public spaces. 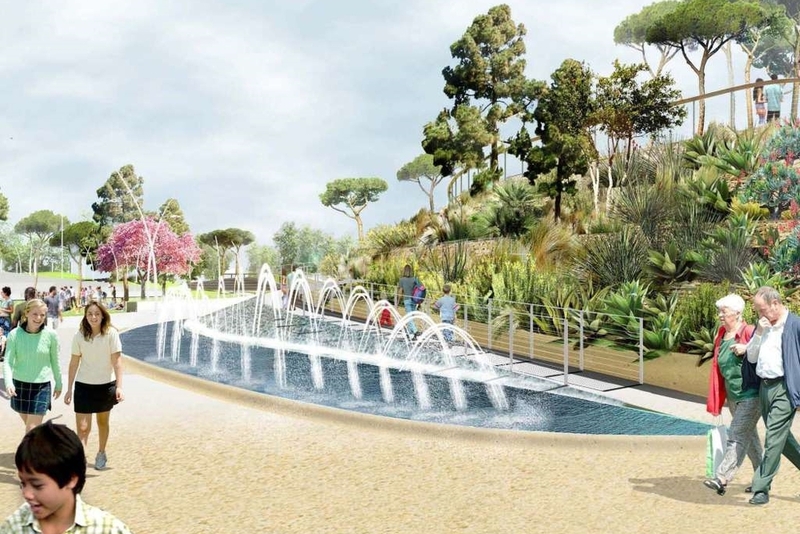 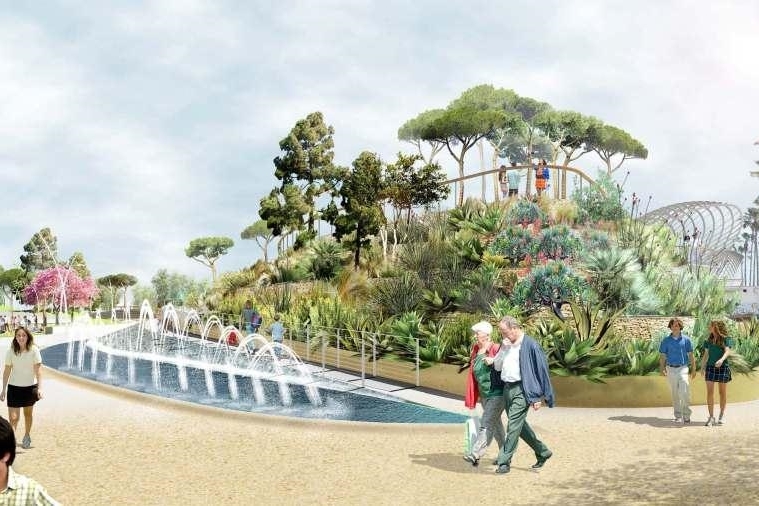 Starting as a gentle babbling brook-like fountain in front of City Hall, features will allow water to flow through the park, gaining in visual intensity as it nears the ocean. 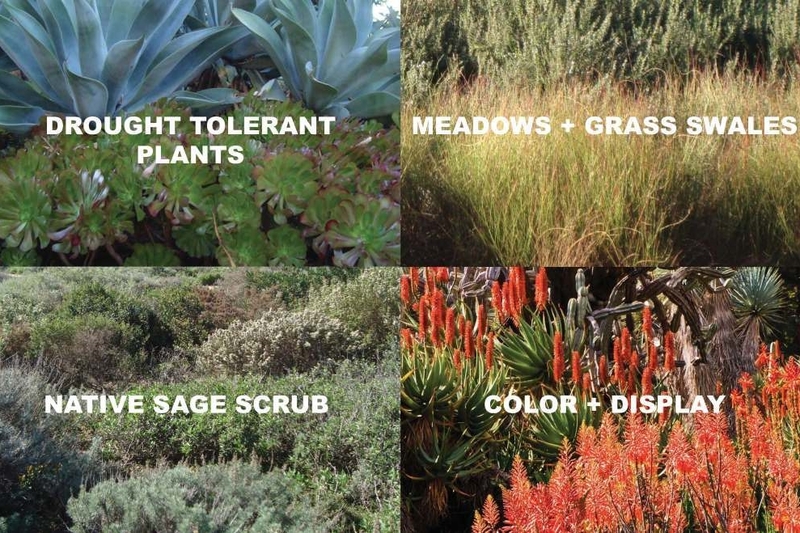 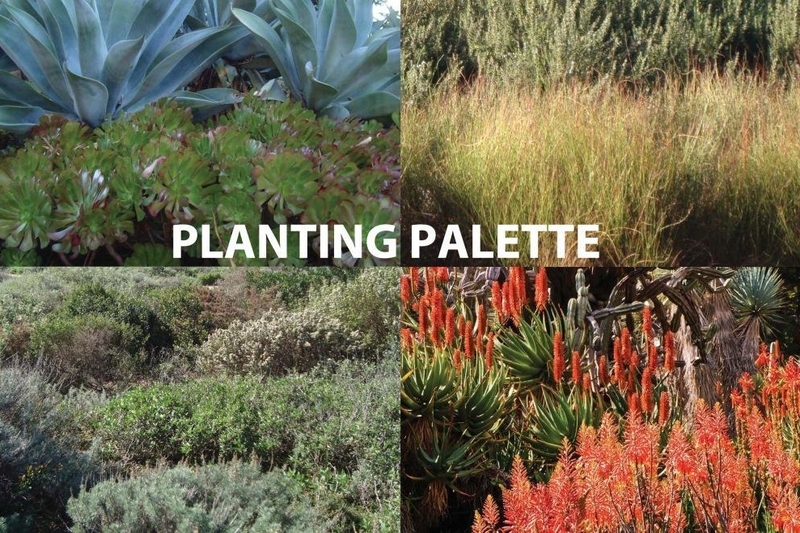 The native and locally-appropriate drought-tolerant plant palette of grasses, shrubs, succulents, bulbs, and flowers will subtly change with the seasons. 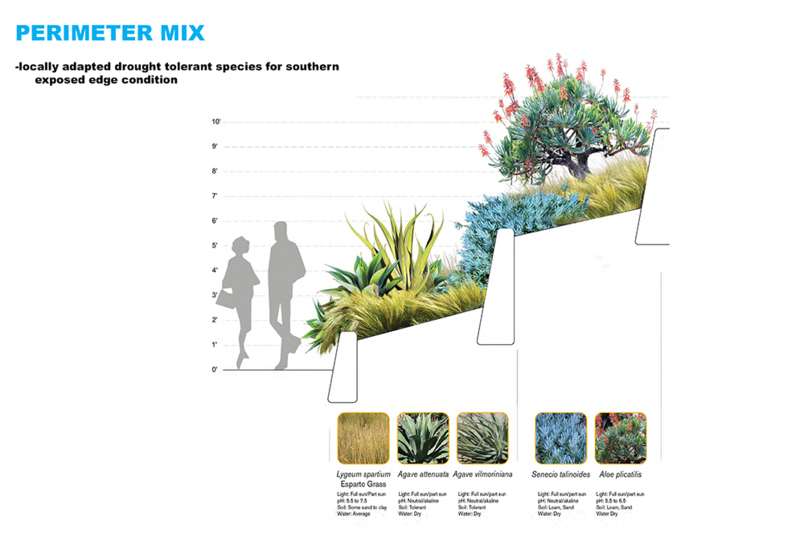 For background on the inspiration behind this plant palette, check out the 3-part presentation on sustainable landscapes in the Project Library. 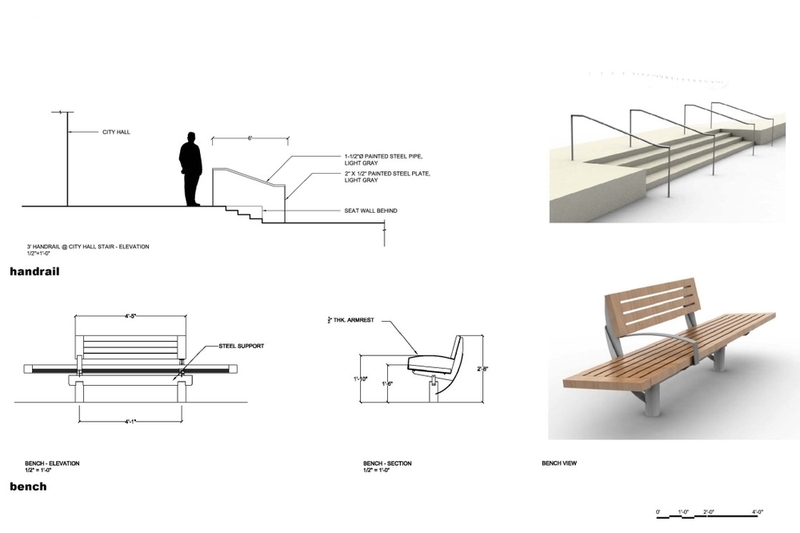 A number of custom structures and materials, like integrated seating and overlooks, will help maximize use of space and bring the park design to life. 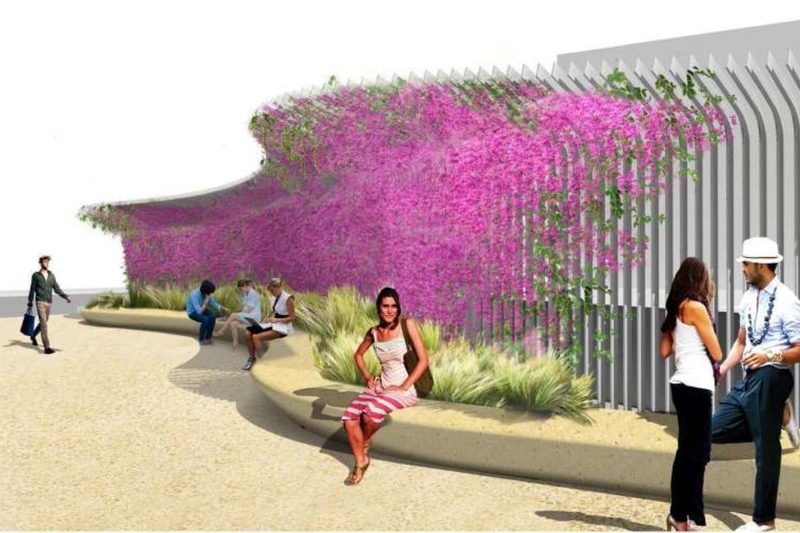 A preview of the public art piece that will be featured in the center of the park. 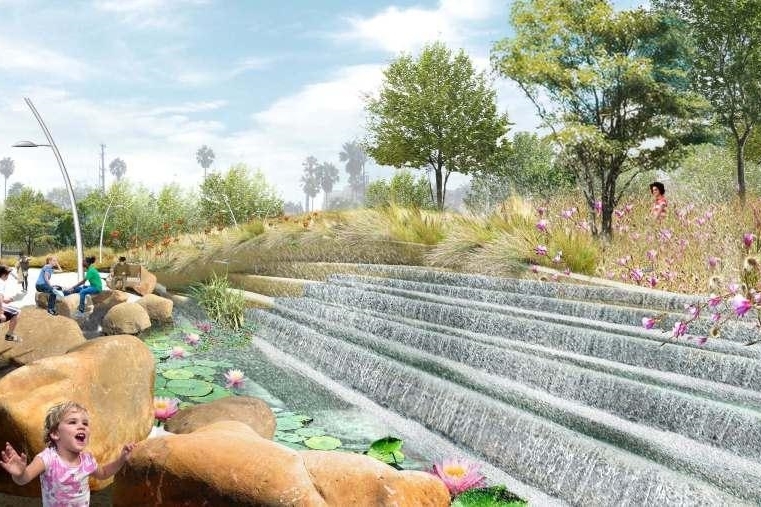 For more information on the artist and inspiration behind this piece, read the Artist Statement.